I love being a part of a wedding. As stressful as it may be for all the wedding vendors, when everything comes together beautifully, you can’t help but feel proud that you were part of that special day. 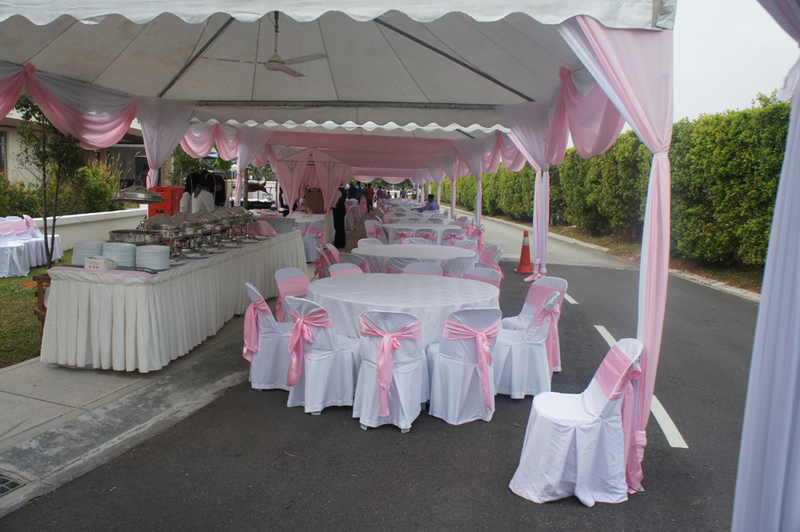 Here in Malaysia, a “small” wedding is considered for 300 people and under. The norm, I would say is around 500 – 600 guests. Everyone is invited! Most Malaysian families are quite large. One can have at least 5 aunts and 4 uncles, along with 25 cousins, out of which half of them have spouses, and children. And that’s just one part of the family. It extends even further and some don’t even know of these “relatives”, until they get put down on the guest list! But they do go all out for the wedding. 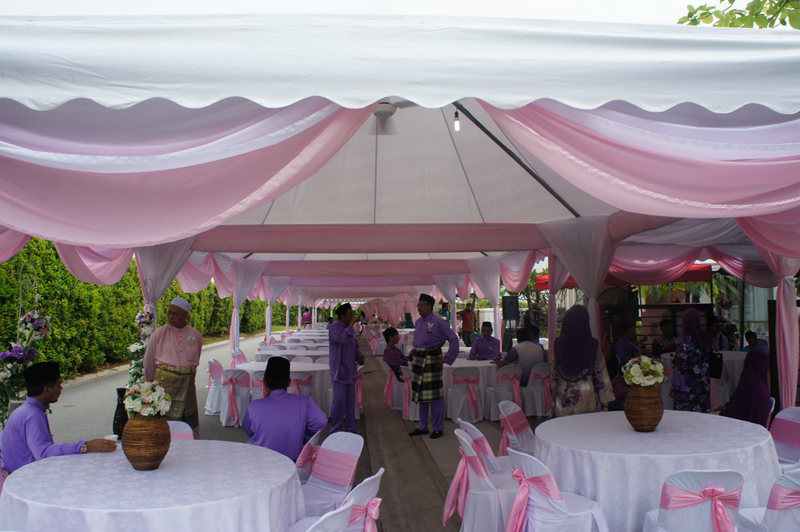 If I’m not mistaken, the Malays usually hold the legal and religious part of the wedding, called “Akad Nikah”, at home. It still is a serious affair and lots of preparation is involved. 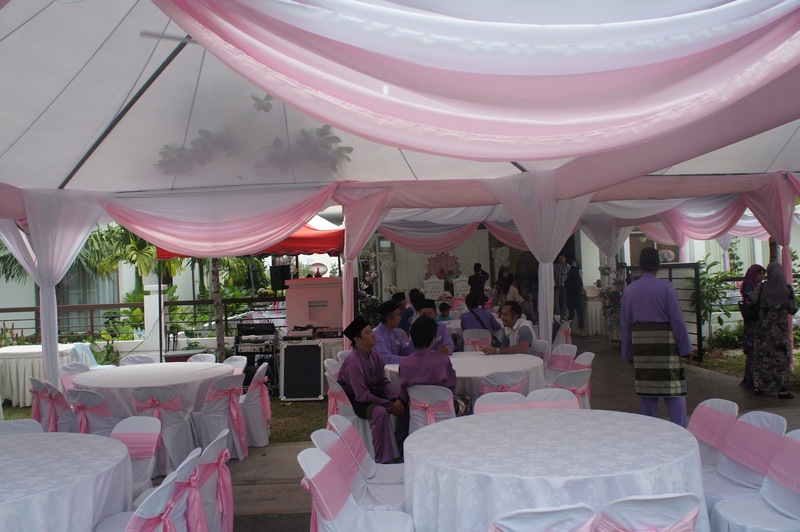 This particular ceremony that I was involved in was for 600 people, and it was at the bride’s family home. Dozens of tables set up, outside the home and all over the entire street. 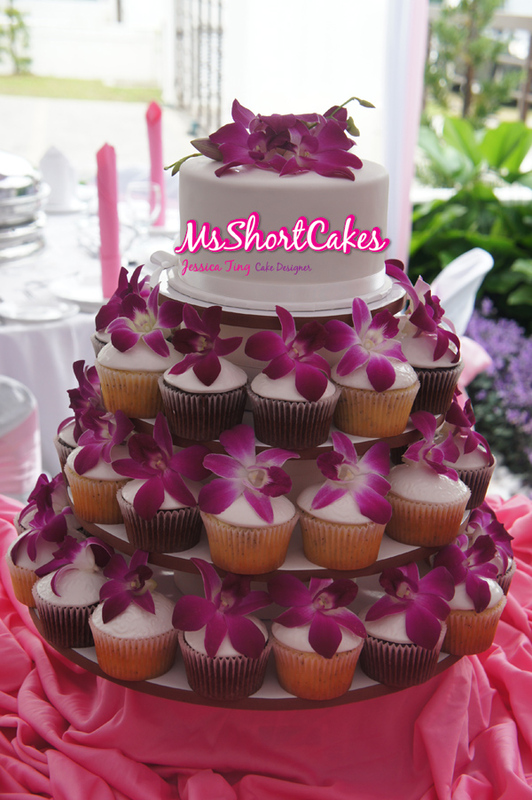 Later that evening, I had to deliver another wedding cake, but this time to a hotel ballroom. 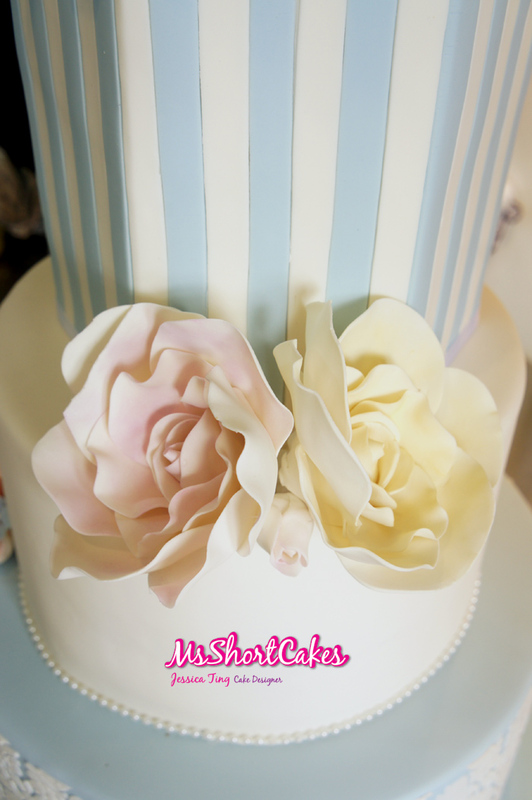 It was decorated in fresh pink, lilac, cream, and blue flowers and I could see, all details were covered very thoroughly. 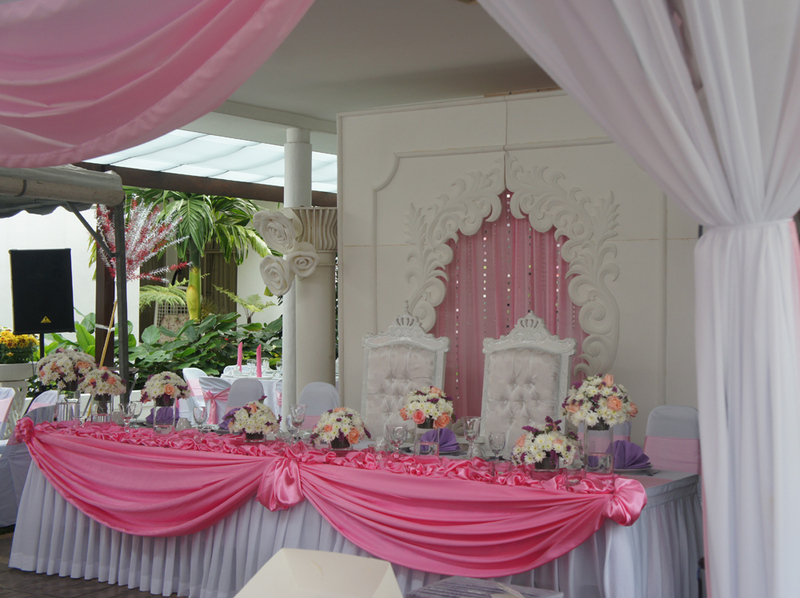 It was a very pretty set-up indeed. 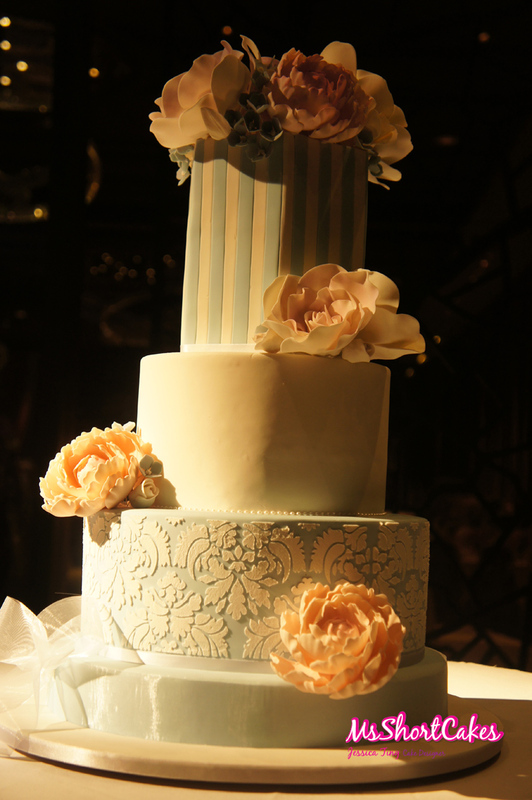 The cake, was a monster-sized cake. My largest cake to date, made from home, that is. 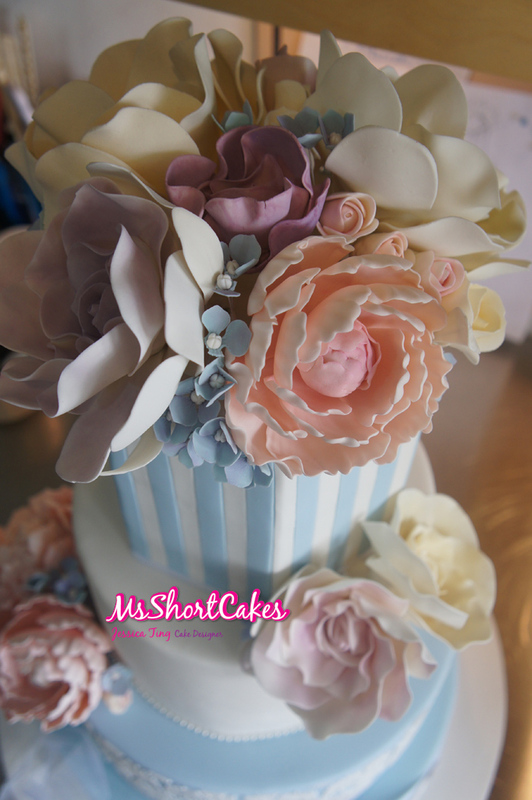 It measured around 70cm tall and the base of the cake was 14″ wide. 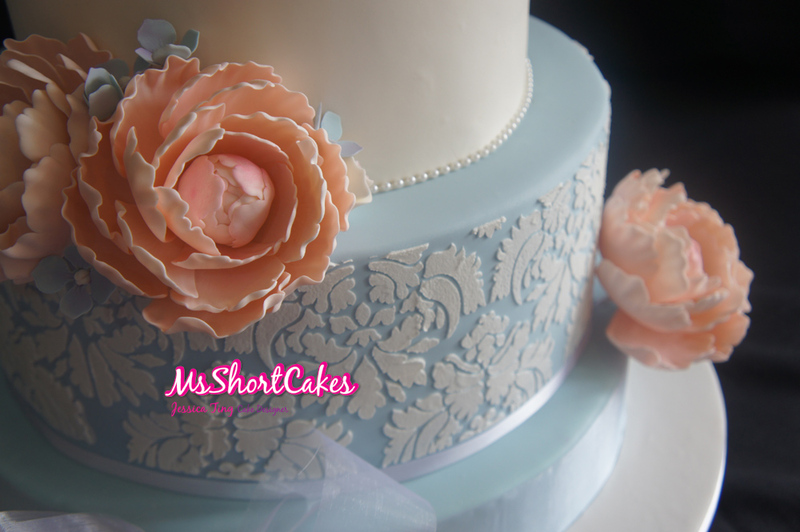 The bride and groom were keen on a hexagon-shaped top tier, and also wanted some pretty and to suit the theme of the night. 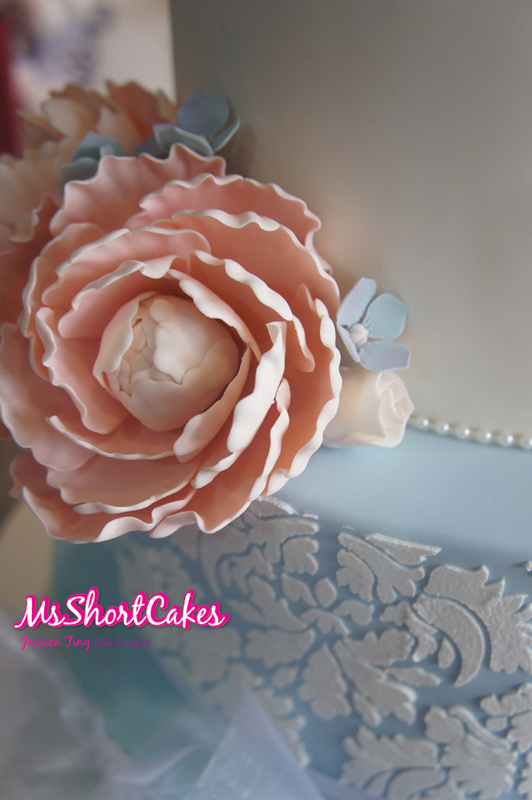 I was so excited to make this cake and I loved making all the sugar flowers too! It turned out so pretty and I was very happy with the result. Delivering the cake was the worst part of the job. But lucky me, my dearest brother gave a much-needed helping hand with the delivery! Look at those pom pom’s! I can’t wait to see the photos of the table, all complete.